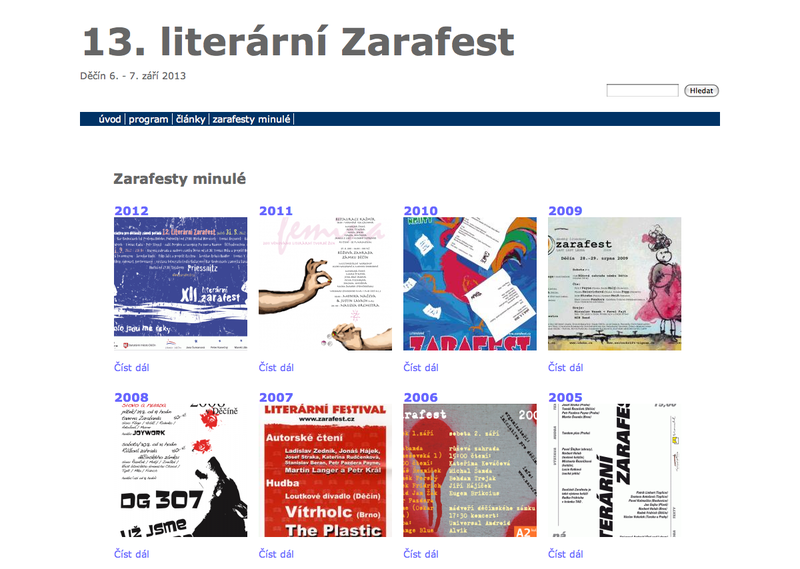 Poetry festival Zarafest was established in 2001 by a handful of local poets in their local bar, the now defunct Zarabanda. Now an international festival drawing writers and musicians of international renown, Zarafest has established its place on the cultural calendar at end of each summer. The website provides information about the upcoming festival lineup as well as a space for sharing photos and stories from past years. I am proud to have been a part of its realization since my first festival poster in 2008.